Barb Slone | Greene County News The light show features more than four million lights accross the Mill. Anna Bolton | Greene County News The Legendary Lights at Clifton Mill won top honors on ABC’s Great Christmas Light Fight. CLIFTON — Clifton Mill received national recognition Dec. 3. “We couldn’t be more excited that judge Carter Oosterhouse and ABC picked us to be featured on their show. And even more gratifying we took home the trophy and top prize.” said Anthony Satariano, co-owner of Clifton Mill. The show filmed at Clifton Mill on Thanksgiving weekend, 2017. The broadcast repeats Saturday, Dec. 15. 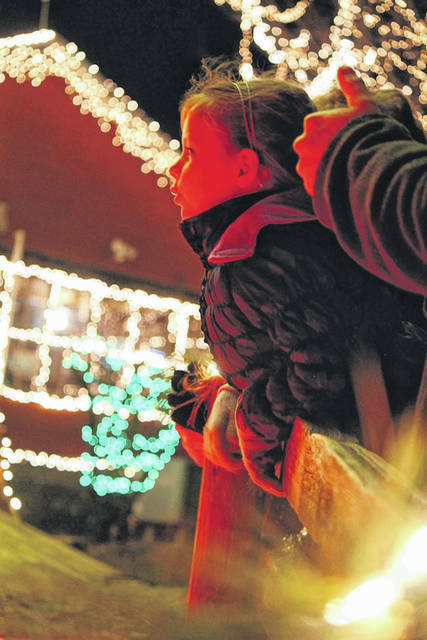 Clifton Mill features more than four million lights. The display is open seven nights a week through Dec. 31. The covered bridge synchronized light and music show occurs hourly each night. The owners began work on a miniature village 31 years ago with scaled down versions of some of Clifton’s historic buildings. There have been new additions each year by a variety of artists with street after miniature street of scaled down homes and businesses, a tiny fire department putting out a “house fire,” an outdoor train, a 1950s drive-in theatre, a county fair and more that will be lit up for the holidays. Clifton Mill has more than 3,000 examples of Santa Claus on display dating back to 1850. Some are toys, some used for advertising. A real, live, Santa will be popping out of the chimney. The Legendary Lights of Clifton Mill is an outdoor event and weather permitting. Call beforehand. Admission is $10 per person for everyone age 7 and older. Concession Food is available. Clifton is in Greene County three miles east of Yellow Springs on State Route 343, three miles north of Cedarville on State Route 72. For more information visit www.cliftonmill.com, follow the page on Facebook or call 937-767-5501. Our partners at WDTN contributed to this report. https://www.xeniagazette.com/wp-content/uploads/sites/32/2018/12/web1_Clifton02-5.jpgBarb Slone | Greene County News The light show features more than four million lights accross the Mill. 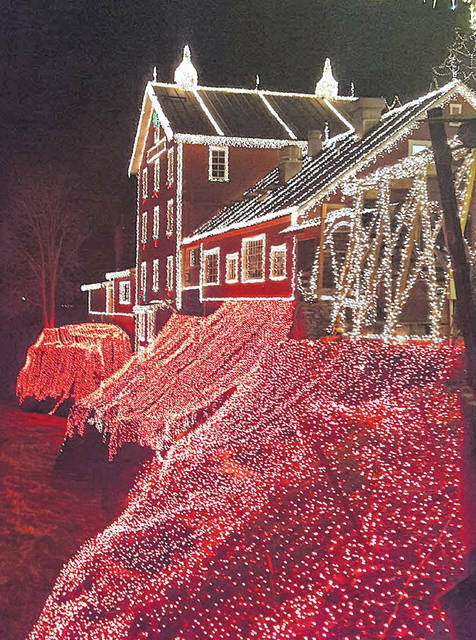 https://www.xeniagazette.com/wp-content/uploads/sites/32/2018/12/web1_CliftonA-5.jpgAnna Bolton | Greene County News The Legendary Lights at Clifton Mill won top honors on ABC’s Great Christmas Light Fight. 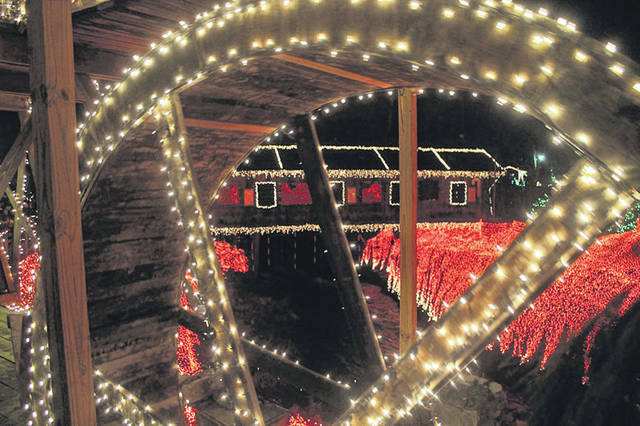 https://www.xeniagazette.com/wp-content/uploads/sites/32/2018/12/web1_CliftonB-5.jpgAnna Bolton | Greene County News The Legendary Lights at Clifton Mill won top honors on ABC’s Great Christmas Light Fight.